Last week while I was waiting during my daughter’s soccer practice I started making a list of all the projects I either had in the works or wanted to start. It is a L O N G list. This week I’ve had a little bit of time to tackle that list and I’ve been creating with a vengeance! So I’ve got a couple of things to actually share. First up, this little guy turned one this week. Last year I made him this jungle quilt. For his birthday this week I used a remnant from that quilt to make a little ribbon-tagged carry-along blanket with green minkie on the inside. Also a new diaper clutch for his mom using a laminated fabric like the one we used for their crib bumper. They turned out pretty cute, if I do say so. This is a new baby quilt sample for the shop where I work every once in a while. It went to the quilter’s today so I’ll share the whole quilt when it’s finished. 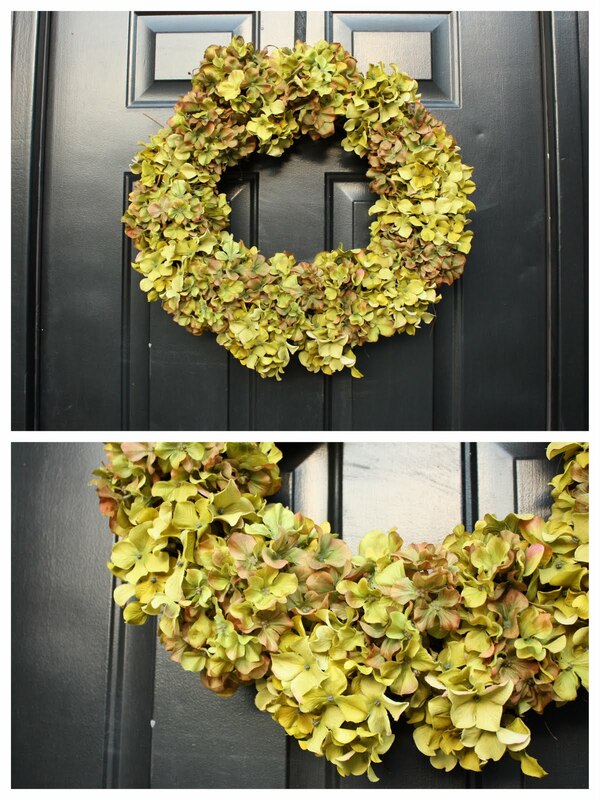 And in non-sewing fun, I made a new wreath for my front door using Vanessa’s tutorial. She makes it so easy to make it look so good. I’ve been wanting/desperately needing a stylish new wreath for my front door and V’s tutorial came with perfect timing so I shamelessly copied her. Even the color. Mmmm. I found everything for 50% off at JoAnn’s while I was trying (fruitlessly) to scope out the new Denyse Schmidt collection. I am LOVING that baby quilt! The fabric is DARLING! Can&#39;t wait to see the whole quilt! HUrry Hurry! Wow, it is amazing what a free 6 hours a day can deliver lol Love the wee carry-along thingummy, and your new wreath looks great. I am amazed too that you can sew the bindings that fast. I&#39;d love to get that much done in one day but I probably won&#39;t have the chance until the kiddos head off to school in a few years. I love getting that burst of productive energy-pass some along 🙂 Love what you posted. I have an almost 8 month old, so I can relate to the boy quilts and things. I am off to Joann&#39;s this morning to look for hydrangeas—-they might even be green—–such a beautiful wreath. Just call me a copy cat. i just saw that wreath on vanessa&#39;s blog. it&#39;s too pretty! What nice projects! <br />I miss having hydrangeas all around my yard. They dry so beautifully. Love the wreath! i love the little books! Staying away from the computer is the hard part, but it looks like you&#39;re doing just fine! I would get SO much more done if I stayed away from the computer. and yes, watching PR and AGT. Guilty pleasures…but at least I&#39;ve been doing embroidery instead of just sitting so that kinda justifies it, right? This is our first full week of school and I came down with a horrible cold monday night. So with post-hurricane issues, that and a primary meeting today, I&#39;ve gotten nothing done! argh. I&#39;m so mad! I&#39;m impressed with your productivity! Everything looks great! Yes, loving PR! No stand out fave yet. Love your cute projects! So true about getting more done w/out the computer. Hmm, I should probably do that more often. LOL! I found some of the new DS fabrics at the Joann&#39;s in Riverdale.